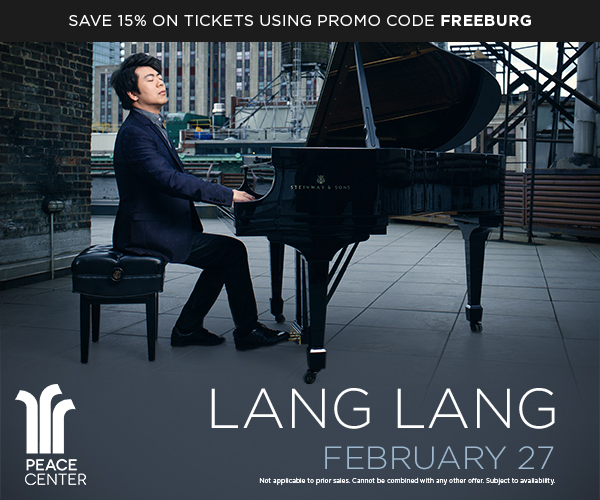 Announcing Lang Lang in concert at the Peace Center February 27. We hope you can experience this spectacular show! As a Freeburg Pianos friend and patron, you receive the following special discount on tickets. Heralded as “the world’s ambassador of the keyboard” by The New Yorker, the star pianist Lang Lang has been selected as one of the 100 Most Influential People in the World by Time magazine, citing him as a symbol of the youth of China and it’s future. In 2013, he was designated by the Secretary General of the United Nations as a Messenger of Peace focusing on global education. The Today Show coined the term “Lang Lang Effect” to describe the 40 million Chinese children inspired by his legacy to study an instrument. And his open-hearted, emotive playing on the grandest of stages – such as consecutive performances on the 56th and 57th Grammy® Awards and the Opening Ceremony of the 2008 Beijing Olympics – have earned him the title “hottest artist on the classical planet” from The New York Times. And while playing music is something he truly loves and excels at, Lang Lang spends much of his time giving back. In 2008, he launched the Lang Lang International Music Foundation, with a mission of bringing music into the lives of children through designing programs that are sustainable, scalable, measurable and meaningful, in partnership with nonprofit and community organizations all over the world. I am a true fan of Lang Lang. Aside from his piano performance he has a great personality. Would love to attend an upcoming concert of him.